What to expect of diving in Sao Vicente? Super clear waters and variety of fish including big fish. 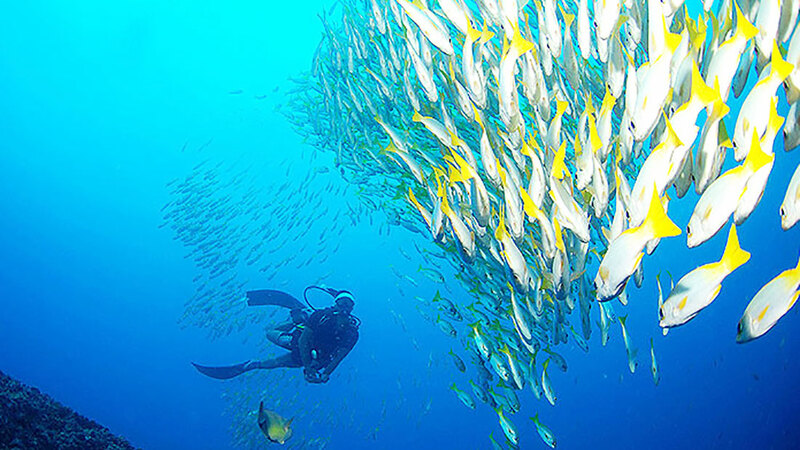 The specialists, Dive Tribe have 3 centers, one in Mindelo harbour, the other at Sao Pedro and a third one on the island opposite of Sao Vicente: Santo Antao. Kitesurf Cabo Verde is not a specialist in diving. For more information, please contact the specialists: divetribecaboverde@gmail.com.